Bodies. We all have them, but none of us seem terribly happy with them. And when that insecurity combines with a domineering life partner with his own dysmorphia issues, bad things can happen. 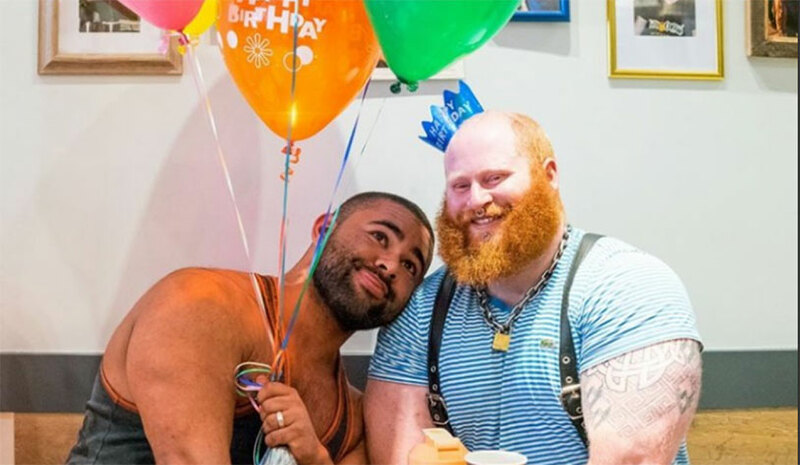 The gay fetish community has been rocked by the death of Jack Chapman, also known as Pup Tank, after he unexpectedly passed away from very strange causes precipitated by a silicone injection. Here’s the brief rundown: there’s a guy named Dylan Hafertepen, who has a popular online presence under the name Noodles and Beef. Dylan was the “master” of a group of other gay men, who were referred to as his “pups.” Joining in that relationship required accepting a contract of very specific behavior requirements, and one of those requirements involved shaping your body to Dylan’s preferences. He liked his pups big, and the men underwent diet and exercise programs to get there. They also engaged in less salubrious techniques, like having their bodies injected with silicone to cause cartoonish balooning. For Tank, one of the spots he had pumped up was his scrotum. After the injection, he came down with a viral lung condition that prevented oxygen from reaching his system, causing bleeding and death. Here’s a video where Jack’s mother confronts Dylan about his death. It’s tough to watch.